Apparently it was Bike to Work day last Wednesday. I didn't know until after the fact. 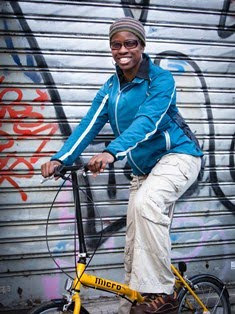 After all, every day is bike to work day for me (as long as its not raining)! I enjoy riding to work. It sets me up nicely for the day, and I am in a much better mood when I have started the day cycling through London and admiring the view from Blackfriars Bridge with lots of other cyclists around me. Yes, the Cycle superhighway has definitely made a difference to the cycling experience in London. Cycling is so much more convenient and it's great to be in a lane separated from the traffic. The part of the Cycle superhighway that I use starts from St George's Circus, near Elephant and Castle and runs through Southwark, over Blackfriars Bridge, past Ludgate Circus and finishes just before Smithfields. I am not the only one who enjoys riding on the Cycle Superhighway. The cycle lanes get busy with loads of cyclists and when the sun comes out, as it has been a lot recently, you get hundreds of riders out at rush hour. It's almost like being in an organised cycling event, with people of all shapes and sizes and on different styles of bike representing on the streets of London. In fact, when we are all waiting at the traffic lights on Blackfriars Bridge at rush hour the line of cyclists extends to almost the length of the bridge. It's crazy! When I started commuting by bike through London about 15 years ago it was only really the hardy and the daredevils that ventured out on push bikes. We were very much in the minority and negotiating the traffic was makeshift and pretty much seat-of-your-pants stuff. But now, it's great to have various cycling facilities like separate cycle lanes, specific bike traffic lights, racks to lock your bike and in a few places even track pumps on the pavement. 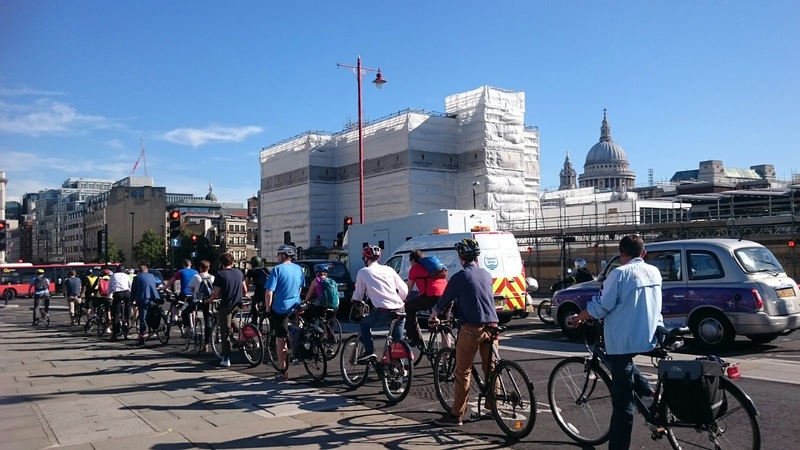 We can now begin to say that London is becoming a bike-friendly city. And that can only be a good thing. One day one photo - 6: Crystal Palace Bike Park? One day one photo - 1: Ciao Charlotte Easton!